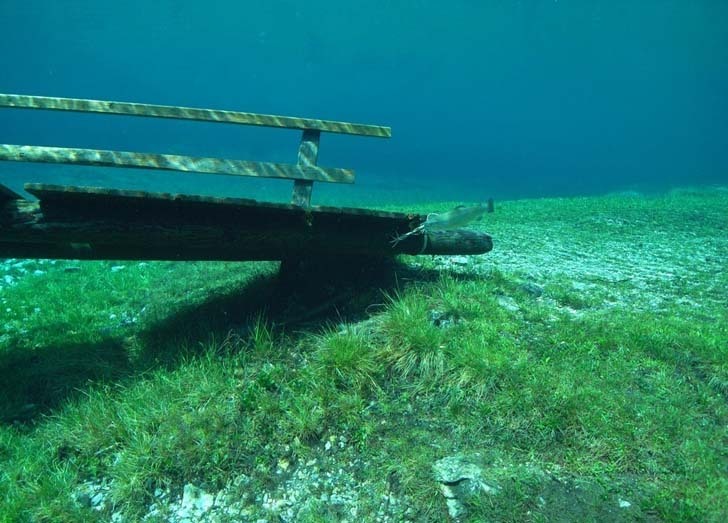 Grüner See (Green Lake) is a lake in Styria, Austria near the town of Tragöß. The lake is surrounded by the Hochschwab mountains and forests. The name “Green Lake” originated because of its emerald green water. The clean and clear water comes from the snowmelt from the karst mountains and has a temperature of 6-8°C (42.8-46.4°F).